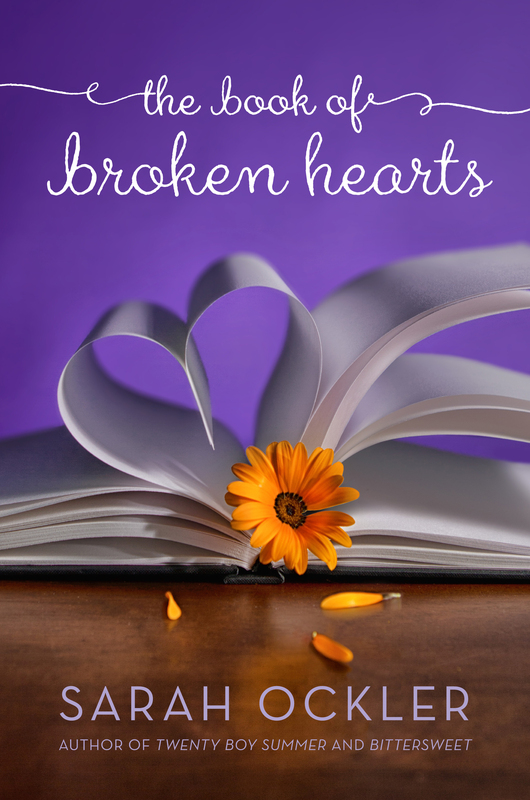 This entry was posted in books, publishing, reading, writing, YA and tagged Sarah Ockler, The Book of Broken Hearts by Sarah Ockler. Bookmark the permalink. Hi, Sarah! You generously support the writing community–including those of us still working toward publication. (That’s a whole lot of good writing karma heading your direction.) You can count on me to read everything you write–and spread the word! I will write an Amazon review! I really loved this book so much. I tried to gush in my tweet to you but the limited characters make it hard. Seriously…the scent of her heartbeat? Total best. line. ever. I’m so sorry you, and all the other authors affected, are going through this. Writng a briliant book is hard enough. Heck, writing any book is like trying to push water uphill, so the idea that at the end of it, that book doesn’t get the attention it deserves is outright crazy-making, to quote you and Scott Westerfeld. 🙂 But you writng IS brilliant, and the audience WILL find it. Any way I can help, I’m on it! i can’t believe the book isn’t in b&n yet. i bought mine at your book signing or else i totally would have gone in to get a copy. i haven’t had a chance to read it yet but will definitely post a review once i do. I’m half-way through and LOVING it. Will absolutely post a review when finished, and help spread the news! Sarah Ockler is the uber-talented author of four books — Twenty Boy Summer, Fixing Delilah, Bittersweet, and the newly released The Book of Broken Hearts. She’s also a mentor and friend. I’m halfway through the Book of Broken Hearts, and despite my attempts to read and study it as a writer (Sarah is a master at characterization and emotion) I get sucked into the story and disappear in her world of forbidden motorcycle boys and family drama. Though it was released last week, it hasn’t hit the Barnes and Noble shelves yet, due to negotiation snafus between the store and publisher (which Sarah details in the link). Fans of Sarah Ockler undoubtedly know about the book’s release, but I hate to think of a potential new reader not discovering this dreamy book at the bookstore. Click on the link for deets on how to get your hot little hands on this great read. Sarah, I am a teen librarian in Greece, NY, and I adore your books. I am reading this one now for my blog – yes, we own all your titles! I LOVED Bittersweet and Twenty Boy Summer. Keep plugging – it angers me how much B & N controls the market. I buy Amazon or indie. I pre-ordered the book because I have read (and ordered for the high school library) ALL of your books. WHY? Because they are amazing! But I do hope that B&N will stock it soon! here is your German translator of The Book of Broken Hearts. It was an honor and a pleasure to translate this wonderful story and I do hope it will do well here in Germany. It comes out in August and I am really excited about it because it managed to capture my heart. Congratulations! As for the big chains like B&N, it is the same here in Germany. Such a pity, that so many wonderful books never get a chance. I miss you Sarah Ockler!